Rudolph's brightly lit pathfinder again was a ratings beacon for CBS Wednesday night, emerging as prime-time's most-watched program after a 7 p.m. duel with the lighting of the Rockefeller Center Christmas tree on NBC. 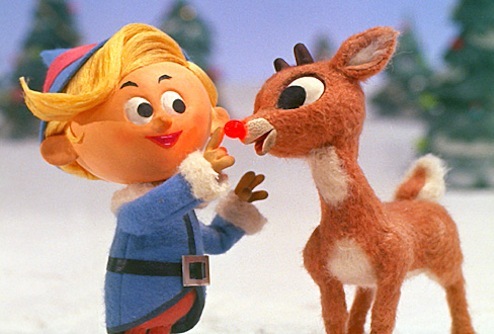 Rudolph the Red-Nosed Reindeer drew 217,162 D-FW viewers opposite the Peacock's annual Christmas at Rockefeller Center ( 149,299 viewers). Rudy also out-punched Rocky among advertiser-favored 18-to-49-year-olds, by a score of 104,371 to 61,970. CBS' Grammy nominations concert then pulled in 149,299 total viewers at 8 p.m., running a close second to NBC's Law & Order: SVU (156,085 viewers). It was the same story with 18-to-49-year-olds. CBS' Criminal Minds repeat mopped up with a 9 p.m. win in total viewers while tying for first with Fox4's local newscast among 18-to-49-year-olds. The Dallas Mavericks' easy win over the New Jersey Nets, who set an NBA record with 18 straight losses at the start of a season, drew 88,222 total viewers on Fox Sports Southwest. In local news derby results, CBS11 swept the 10 p.m. competition with wins in total viewers and 25-to-54-year-olds, the main advertiser target audience for news programming. Fox4 revived its 6 a.m. fortunes for at least a day with twin wins over NBC5, which topped the recently concluded November "sweeps" in both measurements. The Peacock notched a pair of firsts at 5 p.m. and WFAA8 did likewise at 6 p.m.